The original info pages – since 2004. Every speculation and product announcement we’ve ever covered. Rumours… We receive all kinds – some more believable/risible than others. These pages reflect the changes in the camera market over the last few years – that and our concentration on more useful (‘real’) information. Click on the ‘+‘ tabs below to see the different sections – most recent posts are at the top of any list. See Keith’s Photography blog for all his articles. When will Keith switch to EOS R? If you find the articles and reviews on our site interesting, any help towards the upkeep of the site would be great. Our articles will always be free so please consider supporting our site in some way? EOS video 30th March 2019 Rumours and news about Canon EOS video lenses and cameras. Canon 1D X Mk2 info and reviews 3rd April 2018 Canon EOS 1Dx 2 DSLR info and reviews. Canon EOS M100 24MP camera 29th August 2017 Canon EOS M100 with 24MP sensor and Dual Pixel AF replaces the EOS M10. Digic 7 processor improves video performance. Available in black or white, shipping in October for £570/$600 with 15-45mm F3.5-6.3 IS STM lens, or £770/$950 with 15-45mm and 55-200mm F4.5-6.3 IS STM. Camera AF Microadjustment 1st February 2013 Checking for front or back focus with camera AF. Fine-tuning camera autofocus setup. AF Microadjustment without special tools or the need to spend any money. The swivel screen on the 60D 29th March 2011 What use is the Canon EOS 60 D flip out screen? Some quick experiments find that it's not so much of a gimmick as some might think. Out with the Canon 7D 1st December 2009 I'm working on some more detailed looks at aspects of the Canon 7D, but I thought I'd write up a few more 'first impressions' of using the camera. Thanks for all the questions - I'll try and address as many as possible whilst I've got the camera. Controlling a 1Ds3 via a WFT-E2 and iPhone 13th November 2009 Using the iPhone to connect to a Canon WFT-E2 wireless adapter attached to a Canon 1Ds Mk3. Remote control of the camera with a web browser over an ad hoc network. Ricoh GX200 camera review 7th November 2008 Camera usage review of the Ricoh Caplio GX200 12MP compact camera with 24-72mm equivalent zoom lens. Testing includes EVF viewfinder and teleconverter. Canon 1Ds Mark III image misalignment fix 23rd August 2008 Notes concerning Canon UK service and full repair of a new EOS 1Ds mark 3 camera with a viewfinder misalignment. Ricoh Caplio GX100 camera review 29th June 2007 Review of the Caplio GX100 compact camera from Ricoh. Looking at overall performance and the benefits of being able to shoot in RAW format. 1/10" 1.60 1.28 0.96 1.23 ?? Canon camera mounts and change 4th September 2018 Canon camera mounts and change. Canon FD, EF, EF-S, EF-M and RF. How does it affect your photography and does it really matter. What does the RF mount mean for APS-C cameras - does anyone really keep their old 18-55 lenses? Setting the tilt axis for tilt-shift lenses 2nd August 2018 Setting the tilt axis for tilt-shift lenses to an arbitrary angle other than vertical or horizontal, so as to match the desired plane of focus for subjects. ideal for product photography where simple untilted depth of field is not good enough. TS-E45mm F2.8 lens review 26th June 2018 Review of the Canon TS-E 45mm f/2.8 tilt/shift lens. How to use the ±8 degrees of tilt and ±11mm of shift offered by the lens. Should you consider saving a lot of money, buying a TS-E45mm over the latest TS-E50mm? FoCal autofocus adjustment and calibration software review 13th March 2017 Review of FoCal autofocus adjustment and calibration software. The software from Reikan automates camera autofocus microadjustment for many Nikon and Canon cameras that have the feature. Works for Mac and Windows and includes additional functions for evaluating some aspects of lens performance. DIY Telecentric macro lenses 8th September 2016 Joining various old lenses together with filter rings and cardboard makes a range of specialist lenses that normally cost thousands of pounds. Simple experiments with telecentric macro lenses. Review: LAOWA 12mm f/2.8 ‘Zero-D’ lens 12th July 2016 Review of the new Laowa 12mm f/2.8 ultra wide angle lens. EF mount version is tested on a full frame 50MP Canon 5Ds. A fully manual lens with negligible geometric distortions. The lens tested is a pre-production unit. Review: LAOWA 60mm f/2.8 2:1 Macro lens 4th May 2016 (Venus) Laowa 60mm f2.8 2:1 macro lens review. Tested on a Canon 100D as standard and macro lens. Fully manual lens with a range of mount options for different cameras. Canon EF 11-24mm f4L review 19th March 2015 Detailed review and testing of the Canon EF11-24 f4L ultra-wide zoom lens. Tested on a full frame Canon 1Ds3 Mk3. Also compared with other wide angle lenses. Review Samyang-Rokinon 14mm f2-8 20th December 2013 Review of the Samyang/Rokinon 14mm f/2.8 ED AS IF UMC wide angle lens. EF mount version tested on a 21MP Canon 1Ds mk3 full frame camera. Other lens mounts supported. Review Samyang 24mm tilt shift lens 25th October 2013 A review of the Samyang/Rokinon 24mm f/3.5 ED AS UMC Tilt-Shift Lens, tested on an EF mount Canon 1Ds mk3. Other mounts available. Alternative focus technique for tilted lens 12th October 2012 A simple iterative procedure for setting optimal focus for a tilted lens. A step by step approach to set the plane of focus where you want it for a tilt/shift lens. Canon EF 8-15mm f4 L USM review 14th August 2011 Detailed review of the EF 8-15mm f/4 L USM fisheye zoom lens from Canon. Tested on a full frame DSLR, including a look at software corrections to expand the utility of the lens. What tilt and shift lenses do 27th August 2009 Tilt and Shift lenses. 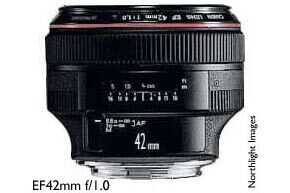 The Canon TS-E 24mm lens review and discussion. What do tilt/shift lenses do? Why they can be so useful and how do you use them? Canon lens date codes – when was your lens made? Canon lens launch dates – when was your lens first produced? The EF lens mount – Mechanical and electrical info. New Sigma lens firmware for Canon fit lenses 27th February 2018 SIGMA Corporation has announced the release of its lens firmware version 2.00 for its SIGMA GLOBAL VISION (SGV) interchangeable lenses compatible with Canon digital cameras featuring Lens Aberration Correction. Nikon 180-400 f4 TC lens announced 9th January 2018 Nikon announces the AF-S NIKKOR 180–400mm f/4E TC1.4 FL ED VR, the first telephoto in the NIKKOR lens range with a built-in 1.4x teleconverter. New Canon 50mm, 90mm and 135mm tilt-shift lenses 29th August 2017 New tilt shift lenses announced. Canon 50mm f2.8L, 90mm f2.8L and 135mm f4L macro tilt-shift lenses. TS-E lens range expanded with macro capable lenses. Nikon Z info/rumours 11th April 2019 Nikon Z series mirrorless info and rumours. 150MP Phase One XF IQ4 28th August 2018 100MP and 150MP Phase One XF IQ4 - new medium format digital backs from Phase One, includes 'Capture One image' based image processing. Latest Canon printer news, updates and rumours 30th January 2019 New Canon printer news, updates and rumours. All our latest information and rumours about new Canon printers and print related items. Latest Epson printer news, updates and rumours 11th July 2018 Epson printer news, updates and rumours. Latest Epson Information. All our latest info on new Epson printers and related items. Looking for a bigger photo printer 9th May 2018 Important questions to ask yourself when looking for a bigger photo printer wider than 13 inch width or A3+. Things that it's useful to know if you want a 17" (A2) or larger printer, it's about more than just bigger prints. Moving a Canon PRO-2000 printer 21st February 2017 Following on from our PRO-2000 review, it needed shipping back to Canon. There are several options for moving such a printer (or a larger PRO-4000), the one we needed uses up a lot of ink. Take care when installing your large format printer if you ever intend to move it. Canon PRO-2000, 4000 printer setup and installation 2nd August 2016 Assembly and initial setup for the Canon iPF PRO-2000 and PRO-4000 large format printer. Features print head and ink installation and initial configuration, including printer software and network connection. Printer Test Images 16th January 2016 Collection of printer test images - colour and monochrome (black and white). Test photos for printer and monitor checking. So, you want a large format printer? 22nd February 2014 Issues and questions that you might want to think about before getting a large format printer. Do you print enough prints for example? What are you going to do with all those prints? Replacing Canon large format printheads – iPF8300 / PF05 25th January 2014 Replacing a Canon large format printhead on the 44" iPF8300 / PF05 printer after one fails. Canon large format print heads are a consumable part and fully user replaceable. Cleaning Canon printheads – iPF8300 – PF05 22nd January 2014 Cleaning and replacing the printheads - on a Canon iPF8300 large format printer, with the PF-05 printhead. Canon large format print heads are a user replaceable part. Whilst cleaning might help, it could be that you need a new print head. Black ink swap on the Epson 7800 and 9800 8th May 2009 An unofficial method for swapping photo black and matte black inks on the Epson 7800/9800 printers, reducing ink waste. Deactivate the ink level counter on the Epson 4000 9th October 2008 Ensuring that ink cartridges always read as full on the Epson Stylus Pro 4000 17" printer. Turning off the ink counter is an alternative to using a chip reset device. Error codes and maintenance tank reset SP4000 8th May 2008 Error codes, maintenance tank reset and service manual information for the Epson Stylus Pro 4000 17 inch width pigment ink printer. Maintenance tank in Epson large format printers 8th October 2007 Looking at the maintenance tank in some large format Epson printers. How to reset it when full so that it can continue to be used. Use this technique with care, since overflows are very messy. Error codes and service manual for the 7600 and 9600 8th October 2006 Fixes and tips along with important error code information for the Epson Stylus Pro 7600 and 9600 large format printers. Service manual information. Swapping the black ink on the Epson 7600 and 9600 8th June 2004 Black ink swap - An unofficial method for swapping photo black and matte black inks on the Epson 7600/9600 printers, reducing ink waste. Canon imagePROGRAF PRO-2000 printer review 14th August 2016 Detailed review of the Canon imagePROGRAF PRO-2000 24" pigment ink printer. 11 inks and a gloss optimiser coat. Dual roll feed option. Roll and sheet media tested, including a print over 7m long. Canon PRO-1000 printer review 8th May 2016 Detailed review of the Canon imagePROGRAF PRO-1000 17" pigment ink printer. 11 inks and a colour optimiser coat. Tested for colour and B&W printing on a range of media types. Paper sixes up to A2, with borderless print options. Canon Pixma PRO-100 printer review 15th August 2014 Detailed review of the Canon Pixma PRO-100 printer. A 13" width (A3+ paper size) dye ink based printer for colour and black and white. Canon iPF6450 SU-21 spectrophotometer use 15th July 2013 Canon iPF6450 SU-21 spectrophotometer use, including basic testing of printing and measuring patches with the SU-21 using the supplied Canon software. Canon iPF6450 SU-21 spectrophotometer setup 15th May 2013 Canon iPF6450 SU-21 spectrophotometer setup guide. Initial setup and attachment for the SU21 X-Rite spectro on the 24" large format printer. Printer review – Canon Pixma Pro-1 22nd November 2012 Detailed review of the Canon Pixma Pro-1, a 12 ink A3+ (13inch) printer for colour and black and white printing. Tested on a range of paper types and sizes. Canon iPF5100 printer review 27th December 2011 Detailed review testing the Canon imagePROGRAF iPF5100 17 inch width large format printer. Sheet and roll paper, looking at colour and black and white pigment ink based printing a range of paper types. Canon iPF6300 review 15th July 2010 Canon iPF6300 review, testing the imagePROGRAF iPF6300 24 inch large format printer, for colour and black and white fine art printing. Canon Pixma Pro9500 Mk II review 1st March 2010 Detailed Canon Pixma Pro9500 Mk II review, using the Canon 9500 II A3+ printer for colour and black and white photo printing. Canon iPF6100 review 30th July 2009 Full review of the Canon imagePROGRAF iPF6100 24 inch large format printer. Colour management and profiling for all printing on different media types. Colour and black and white printing. HP DesignJet Z3200 review 20th April 2009 Detailed review of the HP DesignJet Z3200. Testing the Z3200ps 24 inch large format printer with fine art and photo media, including profiling and colour management, for colour and black and white printing. Epson SureColor SC-P5000 STD Printer announced 27th September 2017 Latest information about the new SureColor P5000 17" large format printer from Epson. The replacement for the SP4900 A2 sized desktop printer. Canon imagePROGRAF PRO-6000 60 inch printer 20th July 2017 Canon have announced a 60 inch width version of their imagePROGRAF PRO series of printers. The PRO-6000 is a 12 colour pigment ink printer - a bigger version of the PRO-2000 reviewed by Keith Cooper. For a PRO6000 review, read Keith's PRO2000 one and change any mention of 24" to 60"
Epson SureColor SC-P6000 and SC-P7000 info 24th September 2015 Epson's new 24" and 44" printers to replace the 7890/7900 and 9890/9900. See our full SC-P7000 review for details. This page covers more general printer information from product launch. Canon Pixma Pro-1 A3plus Pigment Ink based inkjet printer 24th November 2011 Product launch information for the Canon Pixma Pro-1, a 12 ink A3Plus (13inch carriage width) printer for colour and black and white printing. Stylus Pro 9890 and Stylus Pro 7890 info 21st October 2010 The Stylus Pro 9890 and Stylus Pro 7890 replacements for the Epson Stylus Pro 9880 and 7880 - large format printer information and updates. Epson wide format printer – 64 inch SP11880 30th July 2010 This page contains information we've collected on Epson's extra wide format Stylus Pro 11880 (64") printer with UltraChrome K3 ink with Vivid Magenta. Epson 64 inch Stylus Pro GS6000 29th May 2008 Collected information for the Epson Super wide format printer - 64 inch Stylus Pro GS6000. Eco solvent for both indoor and outdoor applications. Epson Stylus Photo R1900 13 inch printer 6th May 2008 Epson Stylus Photo R1900 A3+ Pigment Ink based ink printer. It's the replacement for the R1800 and has an all new range of inks, including Orange and a gloss optimiser for getting better glossy prints. Epson Stylus pro 4880 A2 printer information 30th November 2007 Epson Stylus pro 4880 A2 (17 inch width) large format printer information. Includes UltraChrome K3 nine ink set with Vivid Magenta Ink.